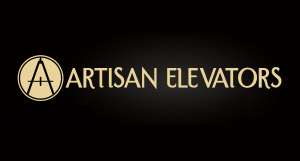 Nationwide lifts proudly provides a discount on their stair lifts to confirmed American veterans. The amount of this special discount for our brave American veterans of foreign wars depends on the type of stair lift. Instead of purchasing a stair lift another solution would be to rent a stair lift. If there is a disabled elderly family member or if a relative is returning from the war in Iraq with a short term disability that renders him or her unable to traverse a set of stairs, then renting a stair lift might be the best option. Most stair lifts will fold up, so that they will not block the stairs from being used and they can be installed by a trained technician in a matter of only a few hours. One of the more popular stair lifts is the Indy Pro Lux stair lift. This well-designed yet completely serviceable stair lift is an ideal match for staircases in offices, town homes, medical centers and many other commercial office locations. This particular stair lift has a 400 pound weight capacity. It conforms to any body type with multiple seat heights; there is a big seat size along with adjustable width armrests. It offers wonderful stability and improved rail design and clamping. This stair lift operates using two 12-volt batteries along with a plug that goes into a household outlet. It is completely efficient during power outages and it installs within six inches from the wall, leaving plenty of room for the ambulatory family members to comfortably walk up the stairs. 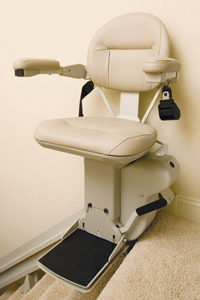 Our mobility devices come in a wide assortment of stair chair lift prices, styles and functionality. There are stair lifts for curved stair cases, there are lifts that can transport up to 500 pounds and there are even lifts that can be used outdoors.